I have concluded that since I have become a mom of three it is difficult to please everyone when you serve a meal. When they were babies you had to have separate meals and sometimes that is the case when they are toddlers but that is tiring. I got smart and put an end to that and now it is eat what is served and like it – ha! If only it were that easy. Luckily, my children will eat what I serve without too much complaint but I want to share our favorite meal of the moment. Baked Cilantro Salmon with oven roasted sweet potato fries, steamed broccoli and mixed fresh berries for dessert. Yum! The whole family devours it and asks for more! 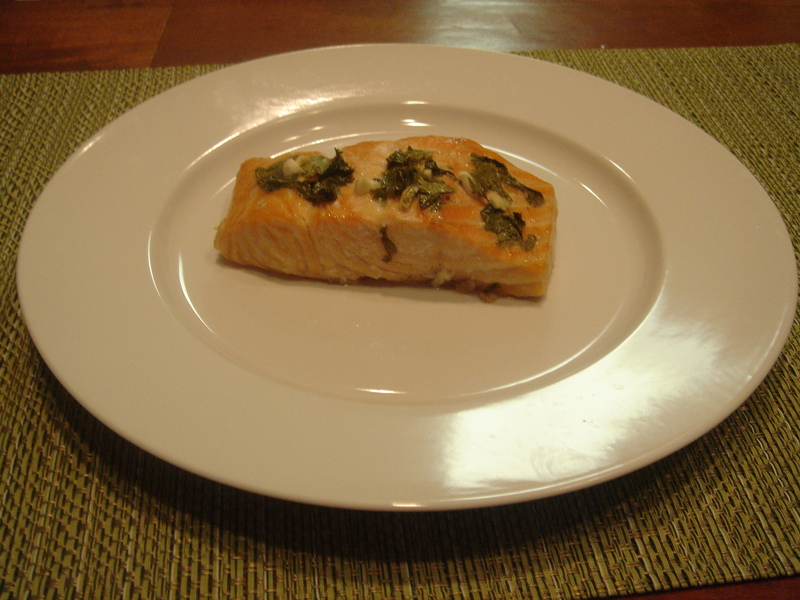 3 7 ounce salmon fillets – I usually get fresh (or farmed) atlantic salmon fillets and have them remove the skin off the fish. Try to get them all the same thickness. Grease pan with 1 T olive oil. Combine cilantro, garlic, lime juice, remaining olive oil in a small bowl. Line a baking sheet with aluminum foil coated with cooking spray. Spread the sweet potato strips out onto the baking sheet in a single layer, coat with olive oil and sprinkle with salt and spices, turning them over to evenly coat all sides with oil and spices. Bake for 30 minutes, turning every 10 minutes with spatula. Serve warm. The tricky part of this menu is at home I have a double oven so I can cook both sweet potatoes and salmon at the same time. But I am not at home right now so I cook the sweet potato fries and then the salmon. 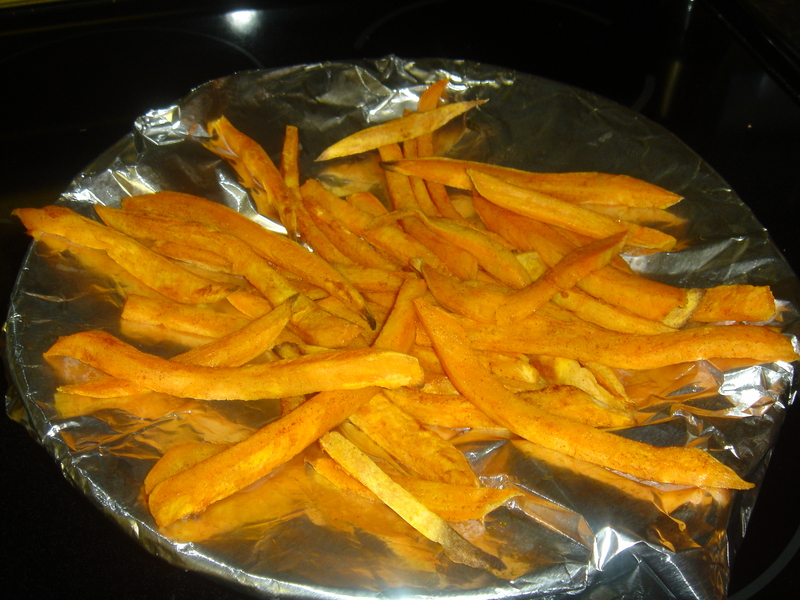 It is tough to keep the sweet potatoes crispy but we’ll eat them no matter what.